Buy from the company that brought wad prices down! J-Ron Inc.'s Claybuster Wad Line is a well established economical wad line built for target-shooters and wing-shooters alike. With twenty-three different models from which to choose, the Claybuster Wad Line can satisfy nearly every target or wing shooting application for reloading. 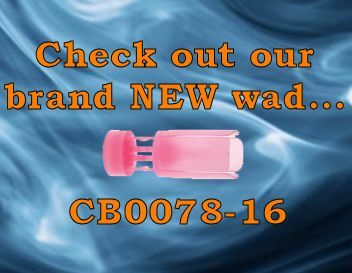 The wads are manufactured, and have always been manufactured, with 100% prime resin so a consistent quality product can be expected with every purchase.